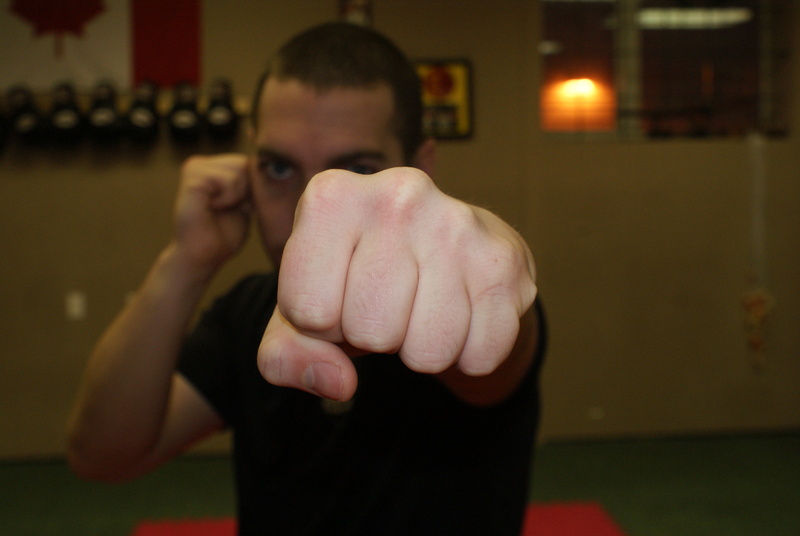 How do Krav Maga punches differ from other martial arts? The answer is simple; they are designed to balance both power and speed while protecting the fist from potential breaks. You only need read articles about professional fighters and you will quickly realize how many fighters end up with a broken fist during the fight. The fact is boxers are breaking their fists even with protective gloves on. While they can afford to have a broken fist for several months while they heal and live off their prize money, the average person cannot afford to take this risk in either training or real-life dangerous situations. 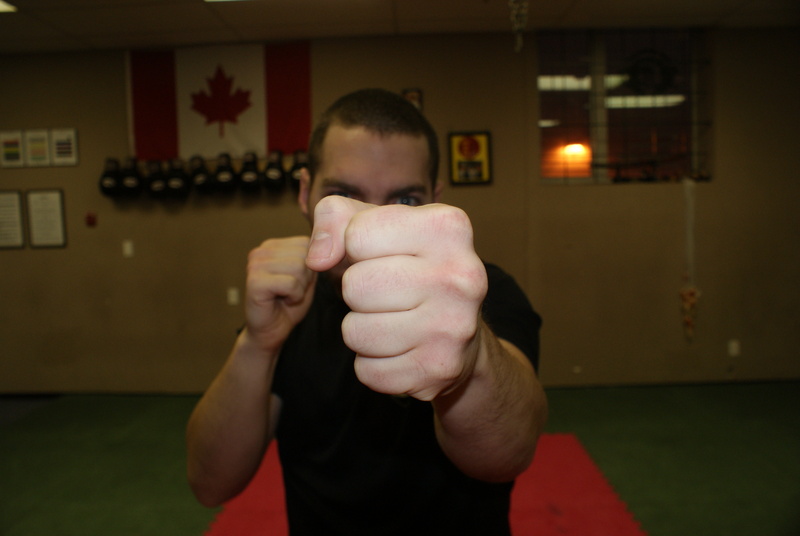 The Krav Maga punch was developed with this in mind. 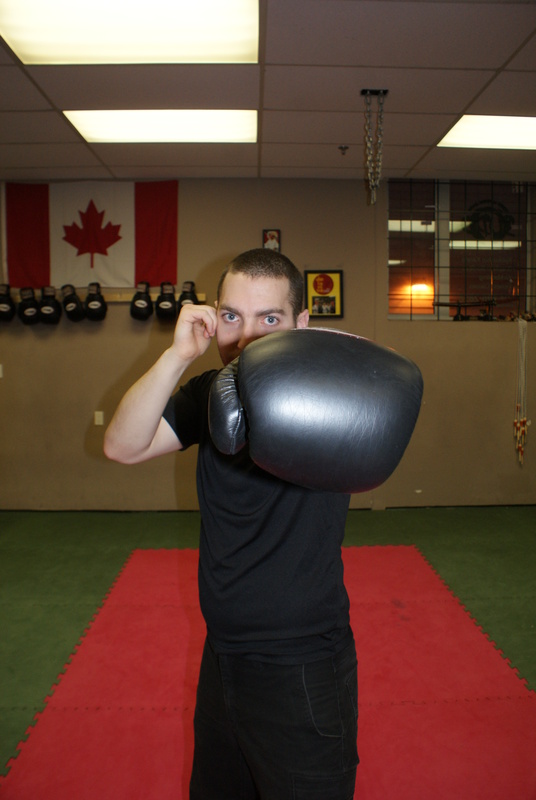 The boxing punch is designed for both maximum reach and power. A study conducted on the show Fight Science demonstrated that the right cross was by far the strongest punch. The impact is spread horizontally across all knuckles, however, it was designed to be used wearing heavy gloves. 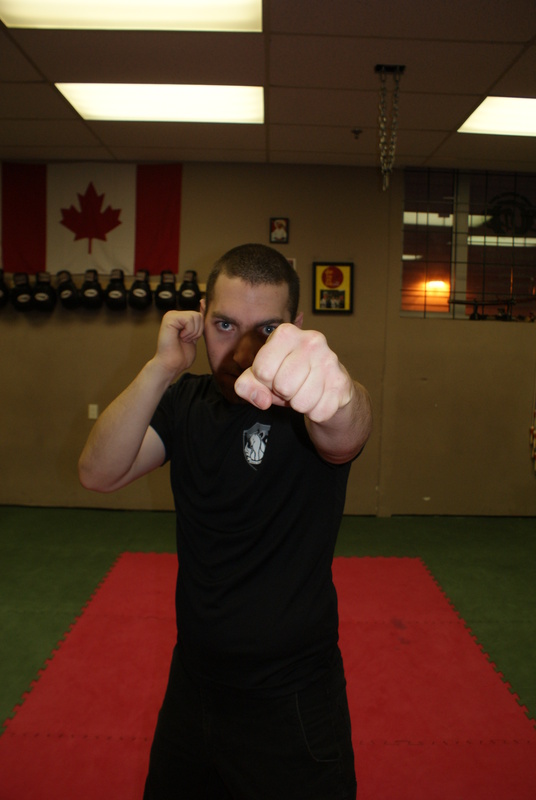 The Wing Chung Kung Fu punch is designed mainly for speed and rapid repeat attacks. A study conducted on the show Fight Science demonstrated that these were by far the fastest punches among all martial arts. The impact area is focused almost exclusively on the two larger knuckles. 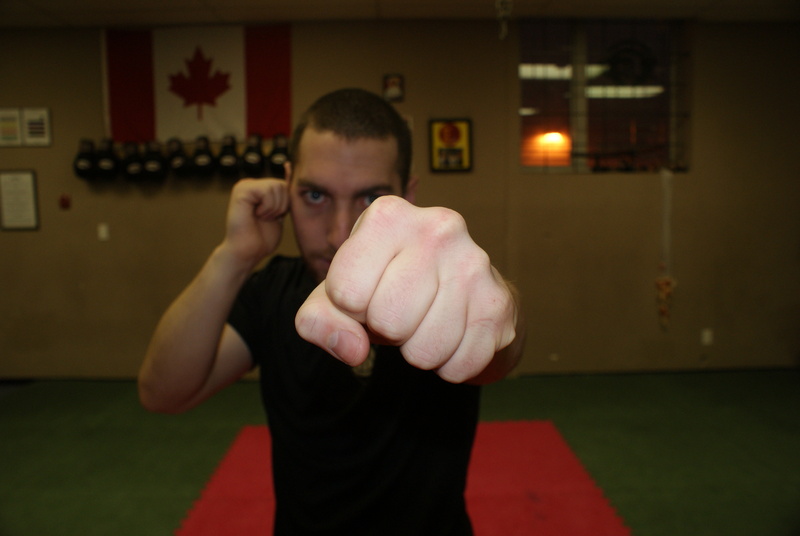 Although it is practical for self defense purposes, the angle of the fist makes other attacks such as throwing an elbow challenging to employ, plus the range is limited. 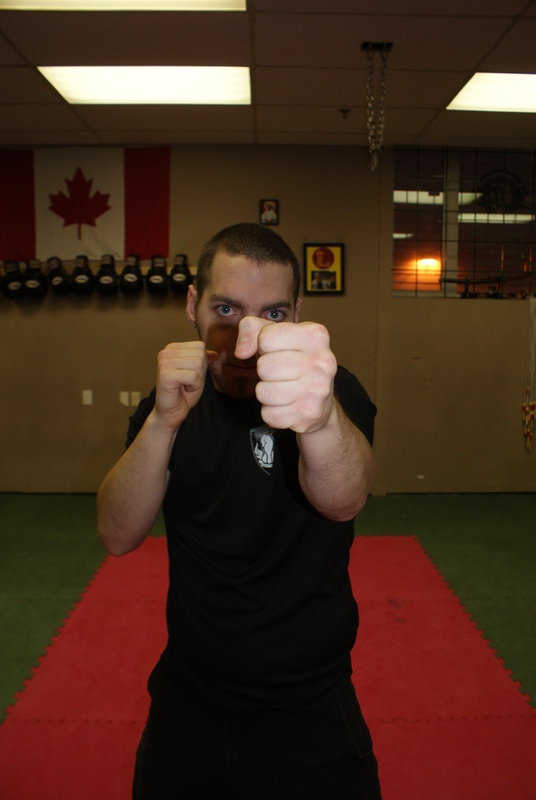 The Krav Maga punch is a balance between the speed of the Wing Chun Kung Fu punch and the power of the boxing punch. It is also thrown at a 45 degree angle which is a compromise between the other two punches discussed. This allows for maximum surface impact while protecting the two smaller knuckles from damage. In addition, when punches are thrown in Krav Maga the arms are slightly bent to prevent hyper extension and to allow for faster retraction. Does this mean that a Krav Maga punch is superior to others? No, it just has a different purpose and application compared to other disciplines. It is a balance between what we can live with and to be able to create desired maximum effect in the street. Advantage: Reach and Power. Most widely used and understood. Easiest to achieve one hit knock out. Speed and Precision. Protects smaller knuckles. Balanced. Protects Smaller Knuckles while maintaining impact area. Resting position always hands protecting. Disadvantage: Leaves body open and the smaller knuckles vulnerable to breaking should impact not be perfect. Can leave head open depending on style of boxer. Sacrifices Power for speed. Smallest impact area of the three. Less versatile attack area. Leaves head vulnerable to attacks depending on style. Sacrifices a little power, speed and reach for its balance.